This 3 part hand skeleton model shows the anatomical detail of the ligaments and tendons found in the hand, wrist, and lower forearm. The interosseous membrane between the radius and ulna is shown along with the bones of the hand. The flexor retinaculum is removable from the hand skeleton. In addition there is a removable portion that can be fitted on the back of the hand model. This portion features the clinically important structures of the carpal tunnel such as the flexor retinaculum, mediane nerve, and tendons of the hand. 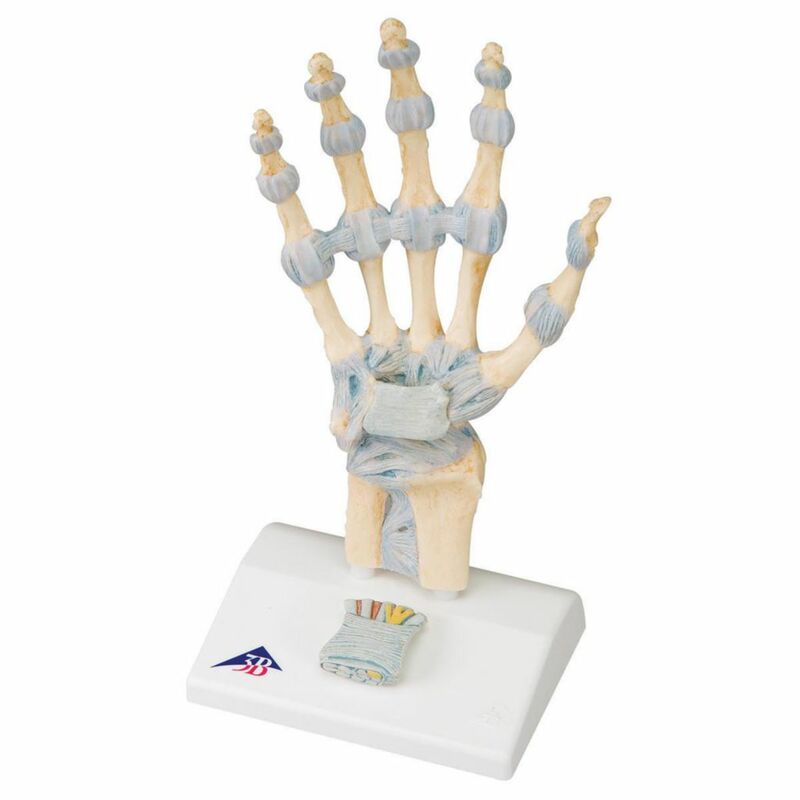 This high quality hand model with ligaments and carpal tunnel is anatomically correct and great for detailed study.